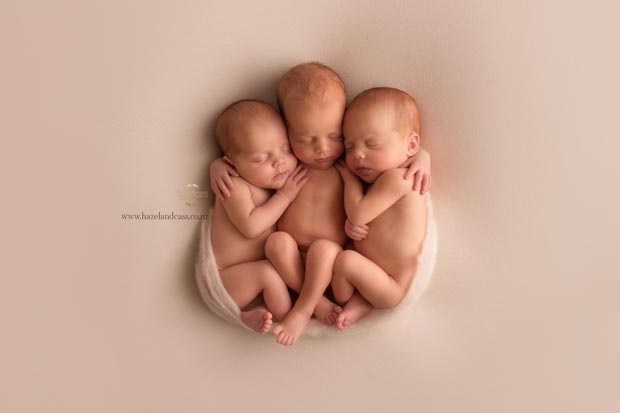 For massive doses of cuteness, check out this behind-the-scenes video of newborn triplets photoshoot by Cassandra English of Hazel&Cass Photography. Since then, photographers have followed suit, capturing newborns in all their adorable glory. Like the self proclaimed Photographer of Tiny Humans, New Zealand-based Cassandra English of Hazel&Cass Photography. The lovely behind the scenes video of her photo shoot of triplets Macy, Toby & Sadie has been seen more than 8 million times on Facebook. Cassandra was a graphic designer until welcoming her first child, daughter Hazel when she realised her passion for preserving the sweetness of infants in those first precious weeks. A passion that is clearly evident in the video below, filmed by Videographer Emma Smart. Underwater pregnancy shoots: the new "thing"! If you'd like to share photos or videos of your newborns, email to chatback@parent.com and we could publish them.